Plastic Royal celebrates this year its tenth anniversary. Because it is such an important birthday, we have launched a collection of limited edition merchandise. 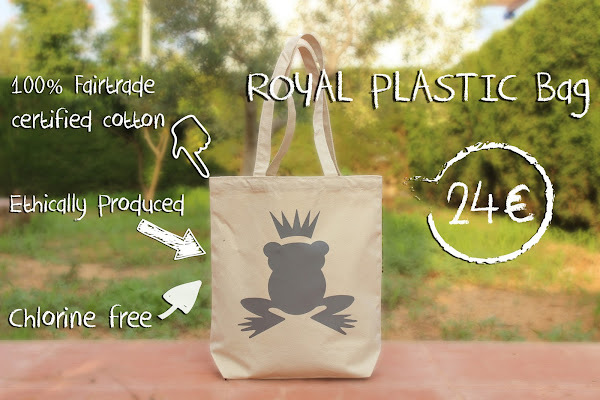 Today we show you the Royal Plastic Shopping bag. Ethically produced with 100% Fairtrade certified cotton and chlorine free. Buy it here. Do you want it? Get it here. Want more? Stay tuned for upcoming news. You can not miss it!